Call it Smart Serve for Weed. All staff working in cannabis retail stores in Ontario will be required to take a four-hour training course administered by Lift & Co. Corp., the company announced Thursday. The online certificate program, the only one approved by the Alcohol and Gaming Commission of Ontario, is a significant win for Lift, a company best known for its online product reviews and industry expos. The company already has training contracts for government-run stores in Nova Scotia and Prince Edward Island, and contracts with several private retail firms in Manitoba and Alberta. CannSell, the brand name for the training program, was designed in partnership with MADD Canada and launches on Feb. 25. All retail employees and managers in Ontario, as well retail license holders, will have to take the program at a cost of $49.99 per person. 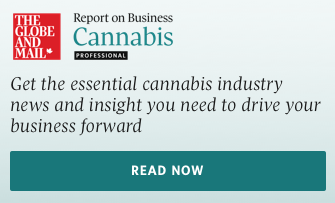 "You will learn about the basics of cannabis, the basics on how it works on the body, enough to answer questions you will undoubtedly receive from customers," Lift CEO Matei Olaru told Cannabis Professional. Lift will also offer a more robust five-day course called CannSell Expert for $499, although it won’t be mandatory. "That program goes into everything from genetics to growing methodologies, methods of consumption and their different effects – really a more sommelier-like experience," Mr. Olaru said. The first CannSell cohort in Ontario will be small, as the province is only licensing 25 retail stores to begin with in April. Mr. Olaru, however, expects this number to grow rapidly. "We think around 2022... we'll see just shy of 900 stores open; these are just our internal projections. If you assume 13 to 15 people per store, that's potentially 13,000 actively working CannSell licensed employees in Ontario," Mr. Olaru said. The move into training is an important diversification play for Lift. Although the company has been expanding its consumer data business, it still makes the vast majority of its money from two annual expos, in Toronto and Vancouver. Of the $3.3-million in revenue Lift did in the first half of 2018, 97 per cent came from events. In the third quarter, which did not have an event, the company’s top line was only $237,251. The training contracts already appear to be helping with off-season earnings. The company generated $148,160 in revenue from retail certification in Q3, making it the company’s most significant revenue driver that quarter. Beyond the $50 mandatory course, Lift is hoping to monetize its position as educational middleman in other ways. The mandatory course will be free of advertisements. But it will be hosted on an online platform which could, potentially, host other content paid for by licensed producers wishing to get salespeople thinking about their products. "If you look at CPG and specifically in alcohol, you see brands that will hire sales forces that go knocking on retailer doors to educate them about their specific brand or product. By having this guaranteed channel into these populations, we potentially have an avenue to provide the brands that are sold in that retailer an opportunity to educate budtenders and retail staff about their brands," said Mr. Olaru. Mr. Olaru would not say how long Lift will have the exclusive right to offer mandatory education programs in Ontario – only that Lift has a “multi-year” agreement with AGCO. “When we first approached them, just like other vendors did, the mandate from the government was still uncapped licenses. As we went down the process, the government changed their mind and capped it at 25,” Mr. Olaru explained. “As you can imagine, to build this program – bilingual, 24-hour customer support, in such a short time frame – was a massive expenditure from us and our MADD Canada partners... So our request to AGCO was simply, ‘look, we invested a lot of money, it’s a $50 course, it’s going to take some time, we would appreciate some guaranteed ability to at least recoup our costs.’ And that’s where that mandate came from."